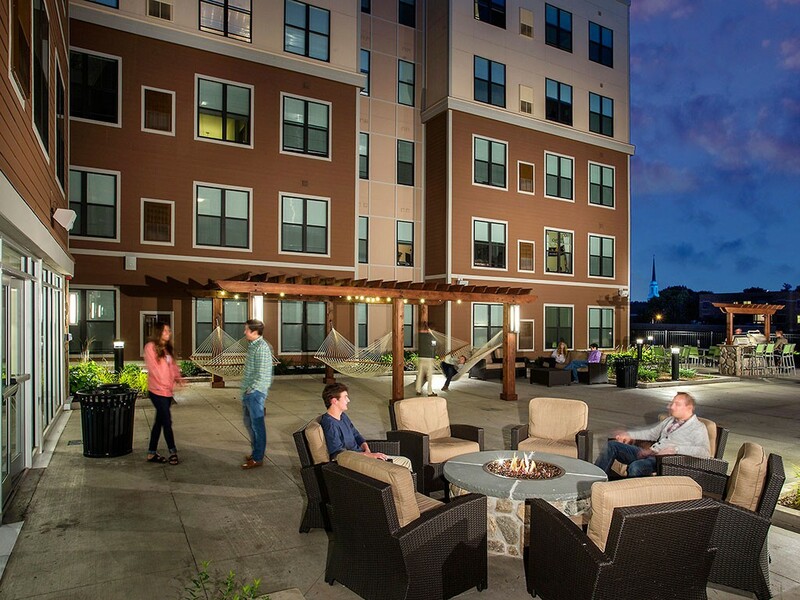 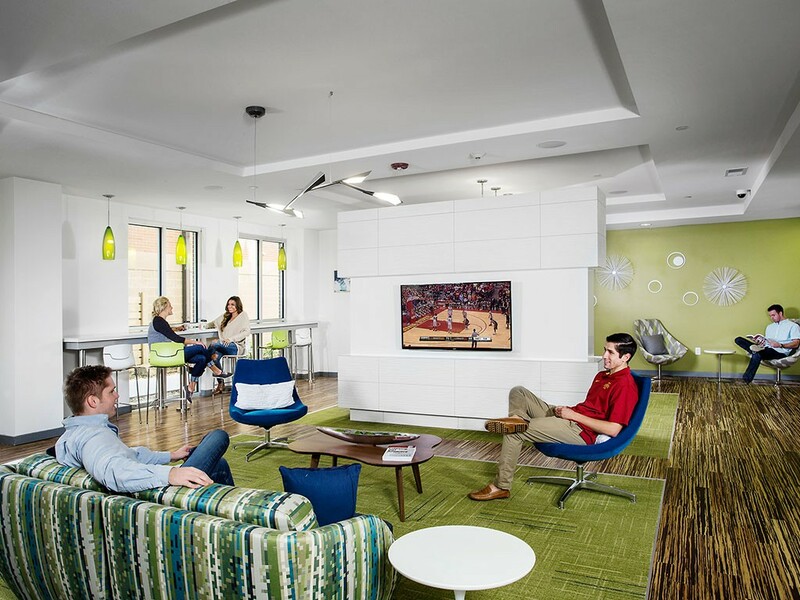 Construct a modern, 320-bed student apartment community located directly across the street from the front gate of the Iowa State University (ISU) main campus. 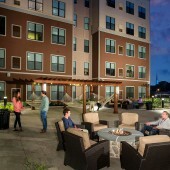 The 23 Twenty Lincoln community is the first new student housing development in ISU’s Campustown neighborhood since 2004. 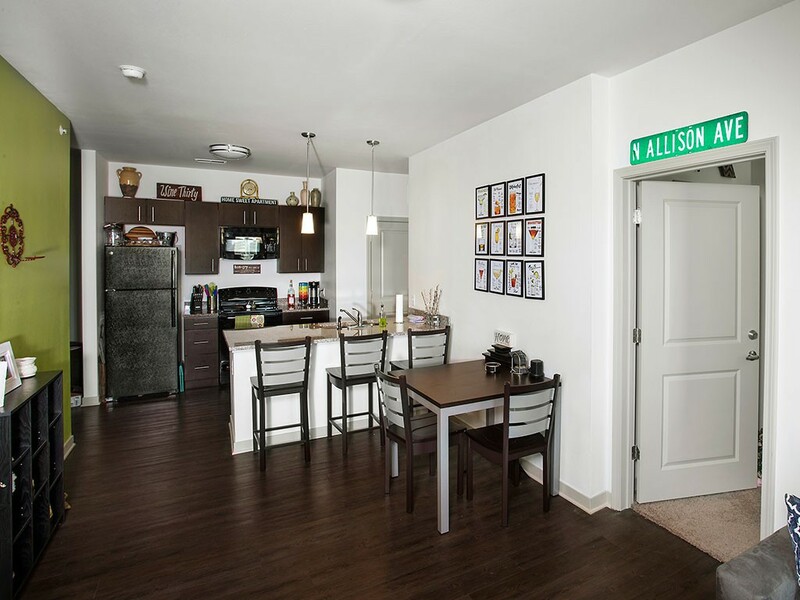 Located directly across the street from campus, the 320-bed facility is an easy walk to Memorial Union, Cyclone Sports Complex and ISU’s academic core. 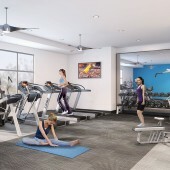 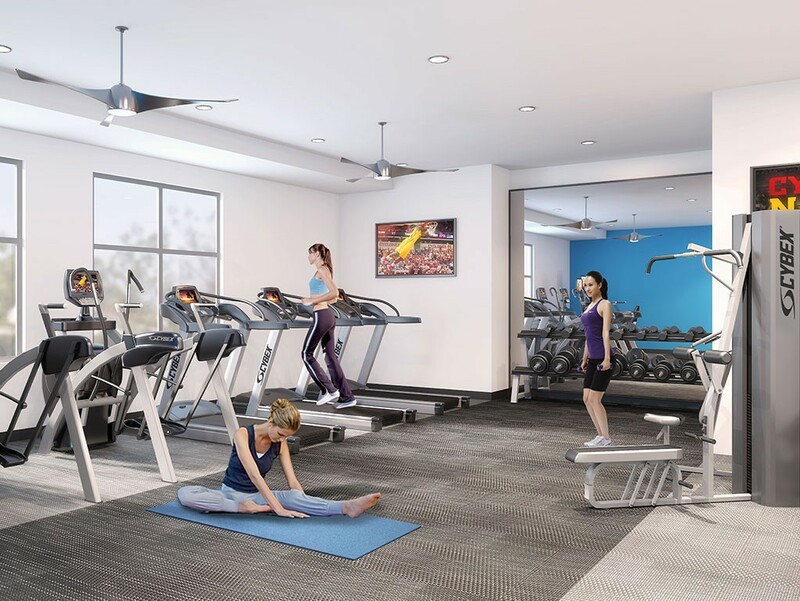 Community amenities include a controlled entryway, lobby computer center and coffee bar, a lounge with high-definition TV, a state-of-the-art fitness center with cardio and weights, a tanning room, study lounges, and a third floor clubhouse that opens onto a private landscaped courtyard featuring a hammock garden, fire pit and outdoor BBQ kitchen. 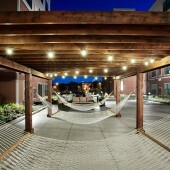 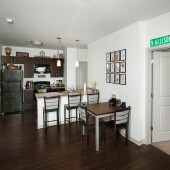 In addition to bike storage and off-street parking, the property provides free Wi-Fi. 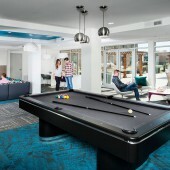 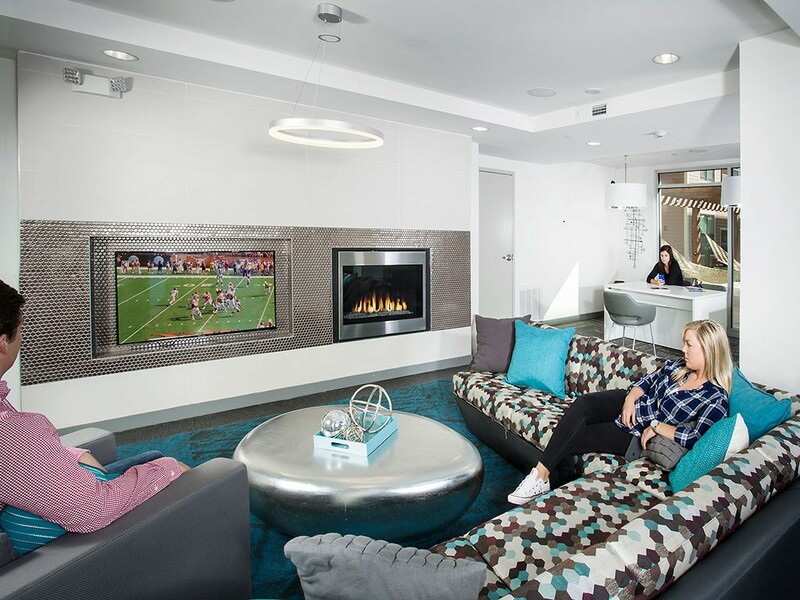 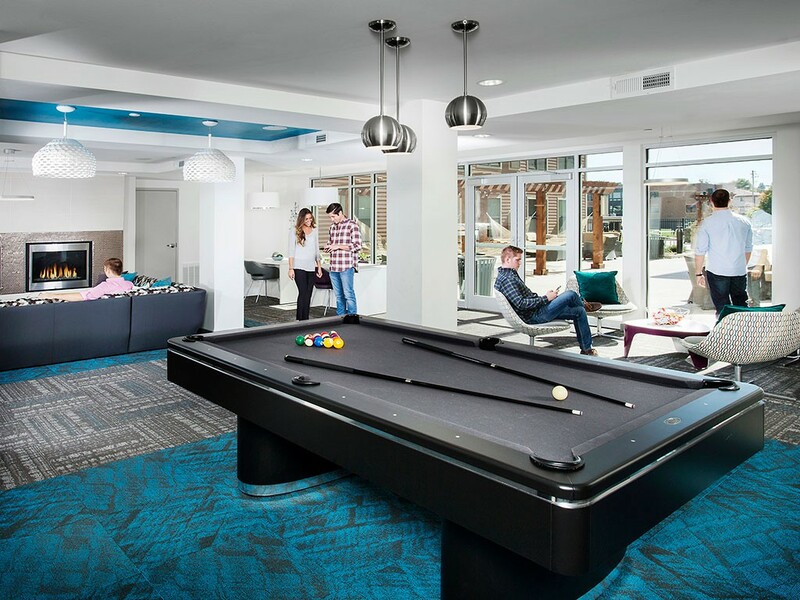 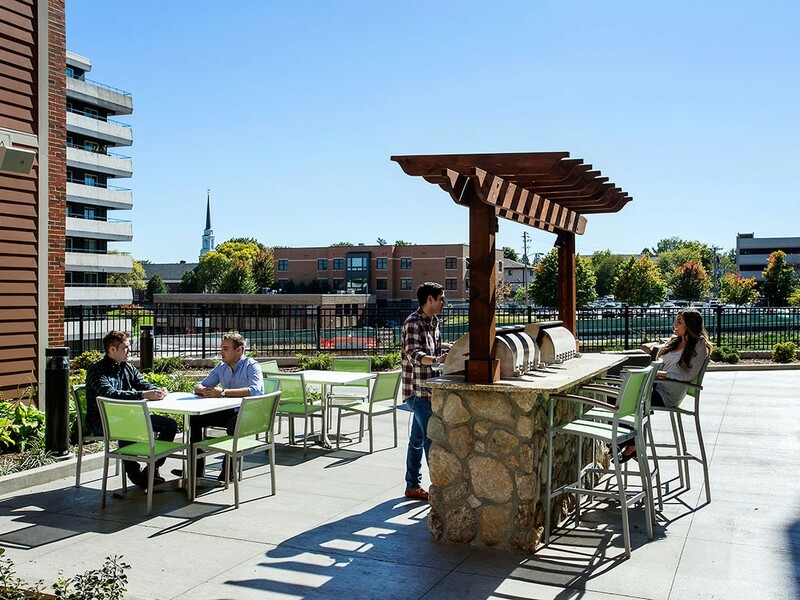 Each residential unit is apartment-styled and fully furnished with private bathrooms and bedrooms, in-unit side-by-side washer/dryers, kitchens with granite counters and modern appliances, large walk-in closets, high speed Internet, cable and a flat screen TV. 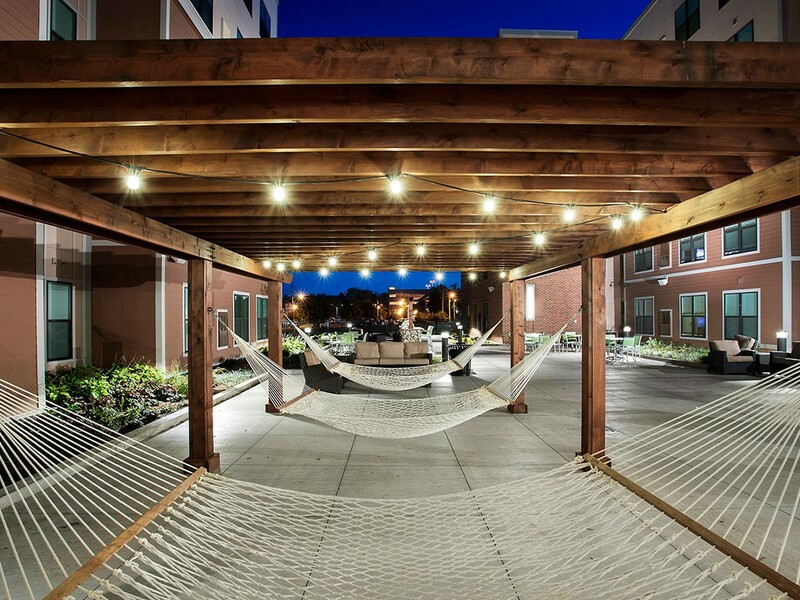 Students enjoy 24/7 resident services, roommate matching and individual, by-the-bed leases. 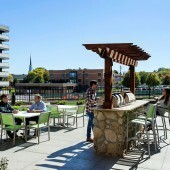 The project opened for the 2015 academic year, and enhances Campustown by adding over 5,000 square feet of Class A retail on Lincoln Way, including large storefront windows and a retail location with a drive-through window.